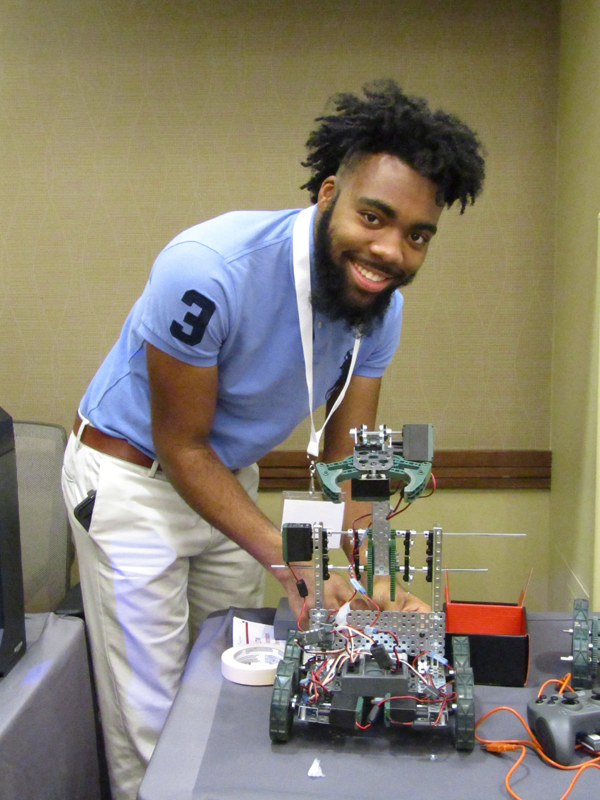 November 2 Opening General Session featured “Escape ITEC 2018” hands-on problemsolving and teambuilding event; Friday afternoon and Saturday schedules offered more than 20 concurrent sessions on STEM, transportation, drafting/design, manufacturing, robotics, 3D Design, Project Lead The Way topics; Saturday sessions offered chance for Illinois technology teachers to interact with TEECA pre-service teachers by providing competition critiquing and project consulting.ITEC is presented as a partnership of TEAI (Technology Education Association of Illinois), IDEA (Illinois Design Educators Association), and University of Illinois Academic Programs and Services. Refer to http://www.pltw.uillinois.edu/TEAI2018.asp to learn about this year’s honorees and http://www.pltw.uillinois.edu/TEAI2017.asp to see last year's honorees. The Teachers Workshop Day featured many concurrent interactive curriculum, resource, and collaborative STEM planning activities aimed at current Engineering, Gateway, Launch, Computer Science, and Biomedical teachers. The Conference targeted counselors, administrators, curriculum coordinators, teachers, and community partners from current and potential new Illinois PLTW schools, offering overview of PLTW K-12 STEM programs, student displays/presentations, and college and career STEM connections. March 15, 16, and April 13, 2018 New School/New Program Orientations for Administrators. March 9, 10, and April 13, 2017 New School/New Program Orientations for Administrators. 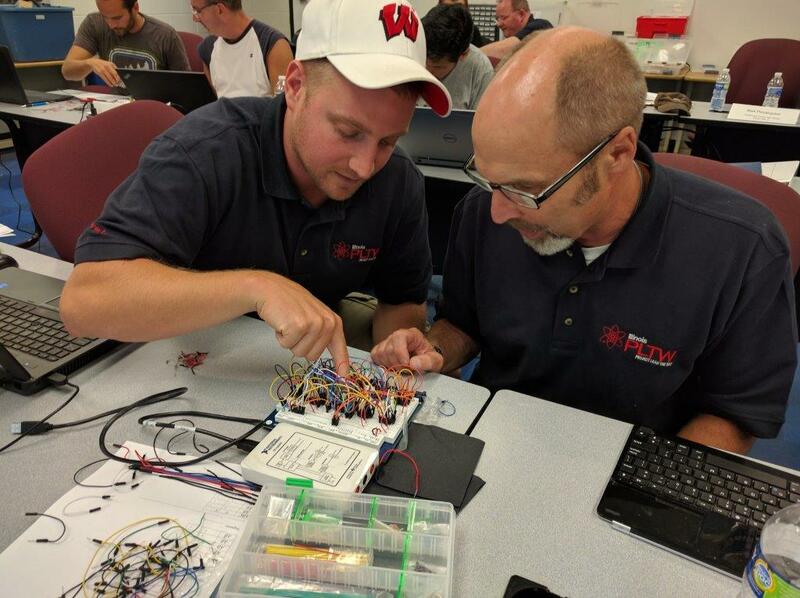 2016 Illinois PLTW Teacher Workshop Day and Counselor, Administrator, Teacher Conference events Held in Champaign November 30-December 1, 2016. 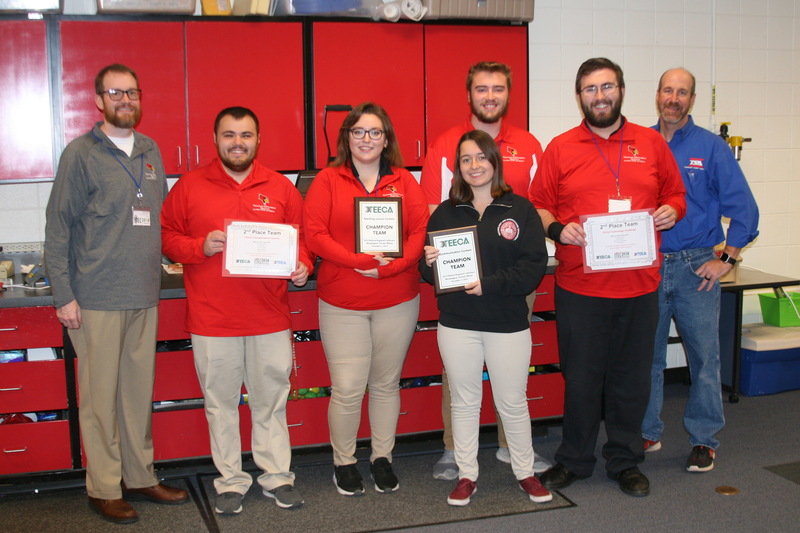 More than 250 teachers, counselors, administrators attended November 30 Illinois PLTW Teacher Workshop Day and December 1 Counselor, Administrator, Teacher Conference events in Champaign. The Teacher Workshop Day featured hands-on sessions aimed at K-12 PLTW schools, and included an all-day Gateway Design and Modeling Curriculum Update for current DM teachers; a half-day VEX IQ Robotics session for Launch Lead and Classroom teachers; preview session focusing on updates for Intro to Engineering Design (IED) teachers, and tours of a solar house, community FAB LAB, and School of Architecture fabrication labs. 2015 Illinois PLTW Teacher Workshop Day (November 5) and Counselor, Administrator, Teacher Conference (November 6) events attracted more than 300 attendees. More than 300 attendees participated in the 2015 Illinois PLTW Statewide Teachers Workshop Day and 11th Annual Administrators and Counselors Conference. 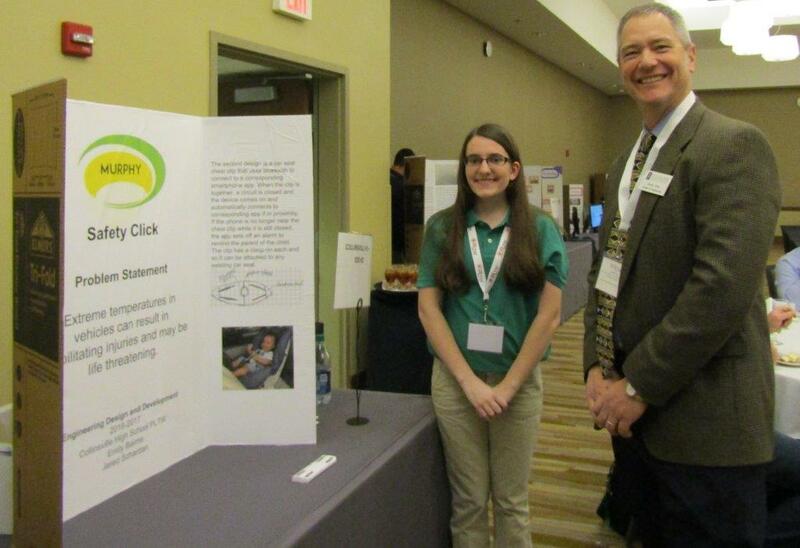 Both events were held at the Chicago Marriott Oak Brook, with sessions reflecting on the theme of "P-20 STEM Curriculum, Collaborations, and Best Practices." The two days featured University of Illinois at Chicago Chancellor Michael Amiridis as the luncheon speaker; the new AP + PLTW collaboration announcement; interactive workshops focusing on the APB—Activity/Project/Problem-Based curriculum approach; hands-on curriculum software workshops for teachers; and classroom best practice discussion sessions.